A walking tour through the city center with one of our certified guides is the best way to discover the most famous sights of Leipzig’s city center in a short time. Walking through the modern Speck’s Hof passage we first reach the St. Nicholas Church with its churchyard, which was the focus of events in fall 1989. 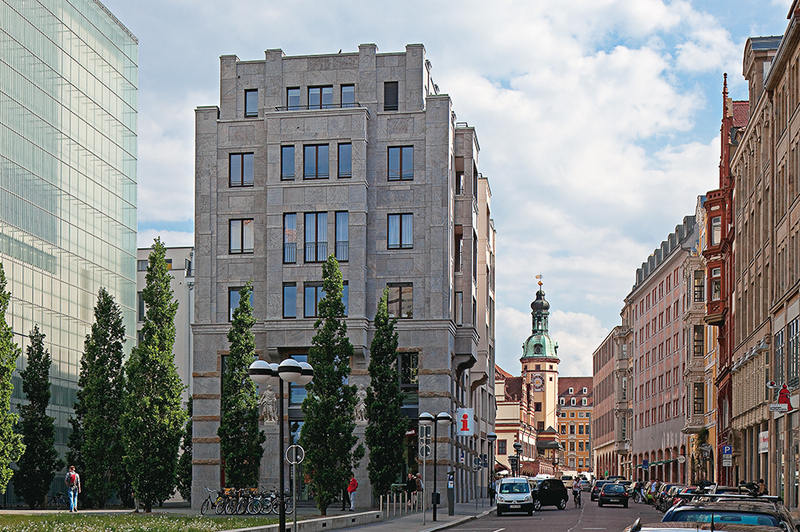 We go on to the Augustusplatz with the Opera and Gewandhaus Concert Hall and the freshly arising university complex. Opposite the Naschmarkt with the Old Stock Exchange you will see Leipzig’s most famous arcade – Mädlerpassage. Next to the entrances to Auerbach’s Keller, the word-famous restaurant, are two groups of figures connected with Goethe’s drama “Faust”. The location has been a restaurant since the beginning of the 16th century. The Old Town Hall, one of the most beautiful Renaissance buildings in Germany, is situated the eastern side of the Market Square. We then pass Barthel’s Hof, a passage courtyard leading to our most famous pub mile – Barfußgässchen. Numerous pubs and restaurants mark the path through of Leipzig’s most famous alley. The last highlight of our tour will be St. Thomas Church, the main church of the Thomanerchor, Leipzig’s famous boys choir, who are appreciated all over the world.